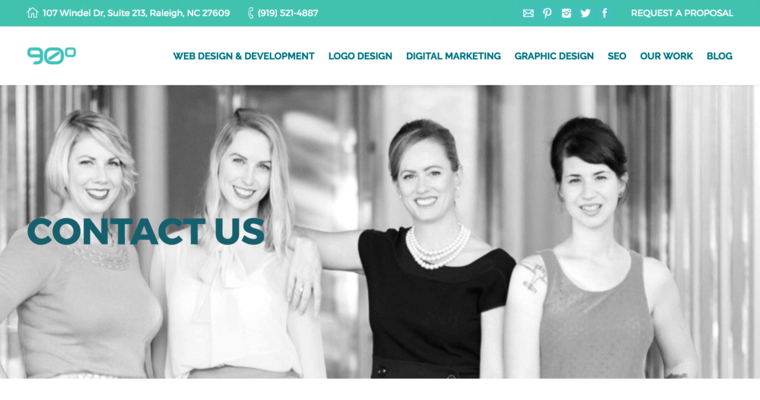 90 Degree is a website design firm that truly does it all. 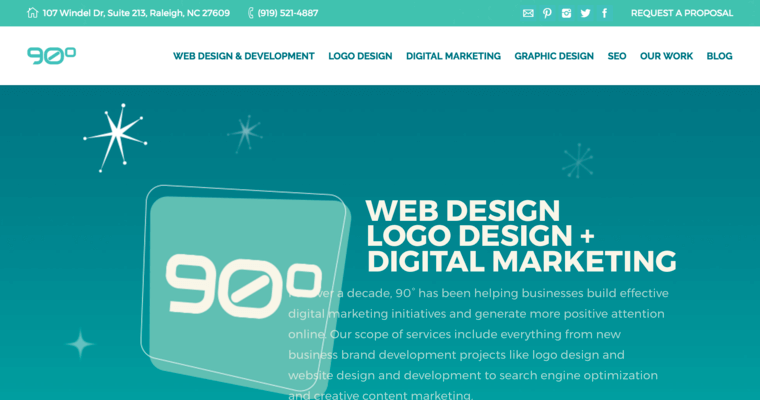 Based out of North Carolina, 90 Degree offers a well-rounded yet extremely unique batch of services, including: web design and development, logo design, digital marketing, graphic design, and search engine optimization. Considering these services cover marketing, advertising and graphic design companies can really rest assured that they're covering all of their bases without losing touch with their roots. Website design and development at 90 Degree takes advantage of WordPress as a design tool to spike website traffic and customer engagement. Website content creation, website maintenance, and mobile app development are also offered at 90 Degree. 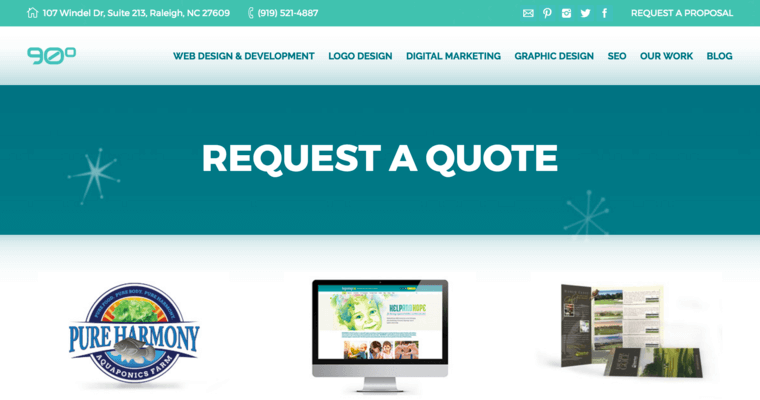 In addition to those services, clients that feel they could benefit from more engaging real-world advertising might want to check out the logo and graphic design services offered by the experienced design staff at 90 Degree. Digital marketing and SEO are also offered.